Jack describes himself as having a lot of resilience, and at times in his life, “feeling invincible”. He’s always held the belief that everything is going to be OK, and has never allowed himself to feel vulnerable in any work or life situation. Two years ago, he began experiencing signs of anxiety and low mood, and found it increasingly hard to function on any level for much of the time. His sleep was becoming very disrupted, and he was waking during the night with his heart pounding. He says, “It felt like a pressure valve was about to burst, I just didn’t feel like me”. He decided to take a brave step, and go and talk to his line manger, who was very supportive. He broke down, and was in tears, but the meeting went well and Jack was sent home to relax. He was absent on sick leave for nine weeks. Within two weeks, the federation contacted him to see how he was feeling, and a home visit was arranged. Jack was offered an overnight trip away, to help him detach from what had been happening to him. He was also referred for some counselling sessions, which he attended weekly. He found them to be impartial, supportive, and a great sounding board to talk everything through. When the first six sessions were completed, Jack was offered further funding by the PFOA to continue. Jack also self funded a Mindfulness course, where he learned more about how to identify how he was actually feeling, to relax, and to give himself permission to “chill”. During this time, the federation stayed in regular contact, checking in with him every couple of weeks. A year or so later, Jack began to feel isolated once more. His shifts involve long hours and lone working, and he says this gave him, “too much time to think”. His symptoms of anxiety and low mood returned. His GP referred him for a course of CBT, (Cognitive Behavioural Therapy). He completed six sessions, but didn’t feel much benefit from it. We asked Jack, what advice would you give to someone who might be experiencing difficulties with their mental health? Jack is not this service user’s real name. 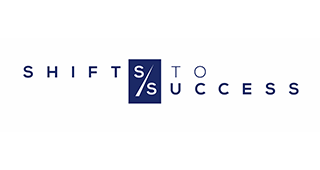 Shifts to Success is a business training company that specialises in operating structured business programmes for retiring police officers.